Now that the high-definition glow of the Consumer Electronics Show is a fading vestige of gizmos, the work of the few becomes the work of the many. The few are the cable and consumer electronics executives who crafted the ground-breaking “plug-and-play” digital TV agreement, five weeks ago. The many are the people who need to get ready for it. Getting ready for plug-and-play – which helps a nationwide retail footprint for cable video services – starts with getting ready for PODs. POD is short for Point of Deployment. Depending on who’s talking, a POD can be a receptacle slot, or the card that slides into it. In general, CE manufacturers are busy with the POD slot; cable is busy around the POD card. Like locks and keys, they don’t work without each other. Together, the card and the slot engage in secret handshakes to assure that both are on the up-and-up: That neither the card nor the host is an imposter. This raises the first of the operations impacts of plug-and-play: Getting the actual POD card to customers for the services they want. Do retailers stock cable’s POD cards, too? (If so, are most retailers set up with active cable drops, to do the authentication process in-house?) Alternatively, the cable operator could drop the card in the mail, or swing by the house. Regardless, it’s a new thing, as day-to-day cable system operations go. It needs attention. Once the card slips into the slot, and the secret handshakes begin, another wrinkle emerges, at least in the first version of the plug-and-play deliverables: The “host” device (the digital TV) is very specifically one-way. That means there’s no upstream spigot to squirt information back to the cable operator. Result: The customer has to call in – true of satellite services, too. When POD customers phone in, they’ll have to alert the customer care agent to at least two numbers: Those of the host, and those of the POD. Think of repeating your frequent flier number to a customer care agent, twice, and you’re in the zone of how many digits make up the secret handshakes. Meanwhile, the more active manufacturers in the plug-and-play agreement, like Panasonic and Samsung, need some answers, too. They need to know how much of how many systems are ready for PODs, and anything that would give them an indication of scale. What the cable industry does (or doesn’t do) to make the one-way devices successful pretty much sets the tone for what happens with the much more attractive two-way TVs. Because of that, it seems useful to do what it takes to support the first steps — which means getting ready for PODs. Which brings us back to where we started. It’s important to note that these “what’s next” discussions are still brewing – it really is all that new. PODs are a part of it; other “to-do’s” will assuredly crop up. Next time, we’ll look at the deadlines proposed in the NCTA/CEA agreement, and what they mean. 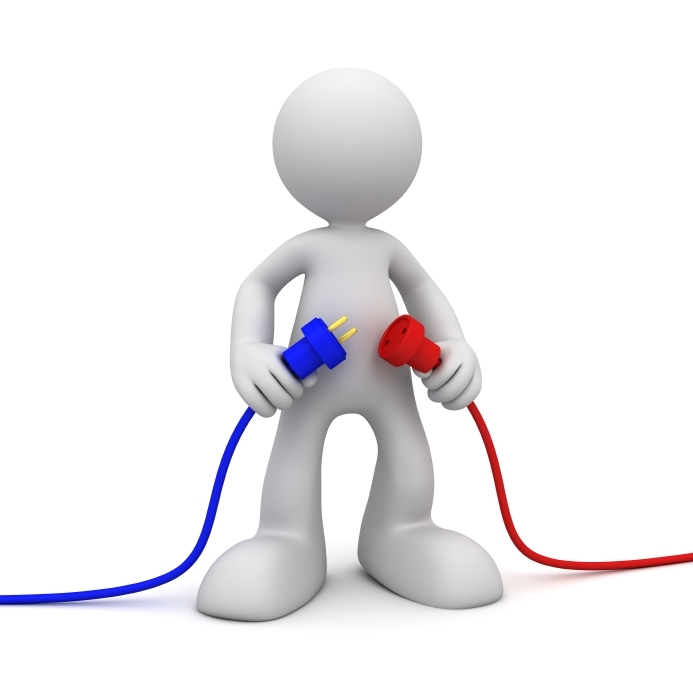 Plug and Play: Easy, Right? Ha! Plug-and-play. It sounds so “good to go.” “Cash and carry.” “You buy I’ll fly.” Do one simple thing – plug it in – and you’re done. It plays. The difference between “play” and “pray” is the chasm of code that makes the connectors and related software on one device attach to the connectors and related software on another device, so that both work once they’re hooked together. In the context of this column, it is the plugs on consumer electronic devices ranging from digital TVs to digital video recorders, that will be made to play with digital cable set-tops that are built-in. The trick is to do so to the satisfaction of everyone involved – consumers, consumer electronics manufacturers, content owners, cable. In previous columns, we’ve discussed the odd fact that most digital TVs don’t include a digital input. In a living room sense, the organic evolution of DTV means you can buy a digital TV receiver and a beauty of a high definition display — but when you hook up your DVD player, you do so over an analog connector. But the tide started to change on Dec. 19, when the National Cable Television Association and the Consumer Electronics Association notified FCC chairman Michael Powell that they’d reached accord on how digital devices and digital set-tops should come together. The 78-page treaty also recommends methods to “copy protect” digital content. And so it is that the discussion of digital interfaces – the plugs – necessarily includes a discussion about copy protection. As you begin the journey of understanding this warming phase between cable and consumer electronics, it’s helpful to know that the plumbing discussions almost always come in twos: The name of the plug, and the name of the copy protection method for that plug. For example, you’ll hear people talk about “IEEE 1394 firewire” in the same breath as “five C.” Or, you’ll hear something about “DVI with HDCP.” Both are mentioned in the NCTA/CEA proposal to the FCC as “plug and play” necessities. Translation: IEEE is shorthand for the Institute of Electrical and Electronics Engineers (it’s spoken “eye triple E”), which wrote a technical specification, numbered 1394, for moving compressed digital video information over a connector. At the time, at 400 Mbps, it was the fastest thing around, so it acquired the “firewire” descriptor. “Five C,” or “5 Cs,” stands for the five companies – Hitatchi, Intel, Matsushita, Sony and Toshiba – who came up with a copy protection scheme, and encoding rules, that work with the 1394 connector. Because the output of the 1394 connector is a compressed digital signal, it’s great for transmission and copying, but not so great for high definition graphics – which affects thing like the electronic program guide. A second digital interface, known as DVI (for “Digital Visual Interface”), is also recommended, with “high bandwidth digital copy protection” (HDCP). Speed-wise, DVI is fierier than firewire, at around 5 Gbps. 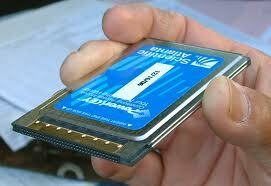 It’s fast enough for uncompressed high definition digital video, and its speed also resolves the graphics issue. The NCTA/CEA agreement doesn’t address how to protect content that flows over the analog inputs of the 3 million or so digital and HD televisions already installed into homes. The thinking: Gotta start somewhere. Best to start in the direction of the momentum, which is clearly digital. That’s the early take on the “plug and play” buzz, as it relates to cable-ready digital TVs. If nothing else, it illustrates why technologists always disappear around the back of a technology display. They want to look at those plugs on the back panel.